A brand new addition to the athlete profile has brought some buzz to the cross country and track & field community. Milesplit has added a feature on each athlete profile that ranks the athletes season best mark a the state and national level! 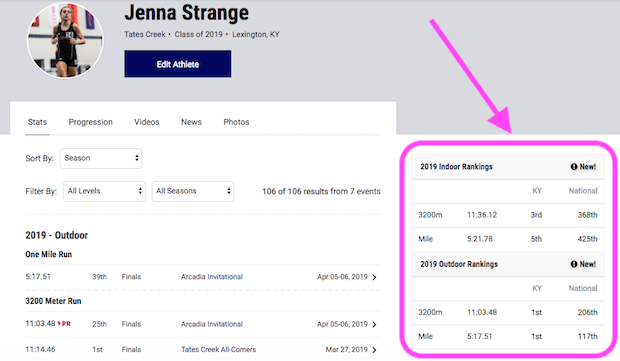 This feature is available to all Milesplit PRO members and brings a whole new level to the rankings world! Here is an example of what this would look like on your profile.